Veterans In Politics proudly announces Martin Hastings Las Vegas Municipal Court Judge Department 6 and oversees Las Vegas Veterans Court will appear as special guests on the Veterans In Politics internet video talk-show Saturday, January 26, 2019. The Supreme Court of Nevada, Administrative Office of the Courts, has contracted with the National Council of Juvenile and Family Court Judges (NCJFCJ) to complete an assessment of Family Courts in Washoe and Clark Counties. The Nevada Family Court Assessment will determine whether the Family Courts are meeting expectations of lawmakers and families, following state and local court rules, and resolving legal disputes timely and effectively. The National Center for Juvenile Justice (NCJJ), the research division of the NCJFCJ, will spend three months on phone interviews, electronic surveys, and site visits of the Family Courts in Las Vegas and Reno. During the process, the NCJJ will review performance statistics and establish a baseline for the resolution of family law cases in Nevada. The statistics and interviews will be used to determine how Nevada’s family courts compare with best practices and other jurisdictions. After the interviews and statistical research, the NCJJ will deliver a report to the Supreme Court of Nevada for judicial review, including possible changes to Family Court rules and procedures. The report is expected to be ready by August 2019. 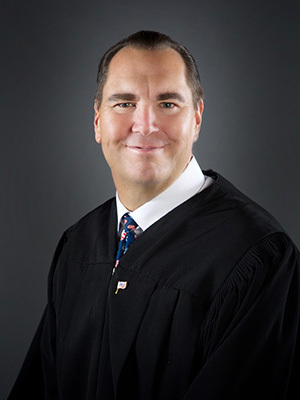 We were pleased to see the Nevada Supreme Court reported that Clark County Family Court Judges Charles Hoskin and Vincent Ochoa were not chosen to sit on the Nevada Appellate Court. 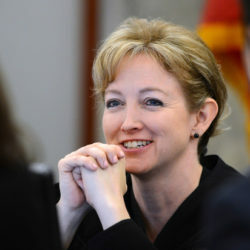 Discovery Commissioner Bonnie Bulla, Carson City Attorney Tracie Lindeman, and Clark County District Court Judge Jerry Wiese were forwarded to Governor Steve Sisolak as candidates for the appointment to the Court. All appear to be much better candidates. Let’s never stop until corruption is removed from our Judicial System. Special thank you to the Nevada Judicial Selection Committee for listening to our voices and take action. 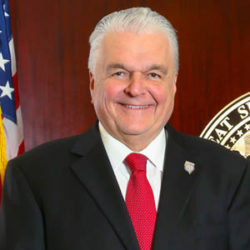 The names of three attorneys have been recommended to Governor Steve Sisolak for his consideration to fill the opening on the Nevada Court of Appeals made vacant by the election of Chief Judge Abbi Silver to the Nevada Supreme Court. Nine Nevada attorneys with 15 years of legal experience and two years of Nevada residency applied for the position and participated in public interviews in Las Vegas. As has been the rule since 2007, the Commission’s interviews were open to the public and public comment was requested. In selecting the finalists, the Commission considered the applicants’ interviews along with information in comprehensive applications about education, law practice, business involvement, community involvement, and professional and personal conduct. The Commission also considered letters of reference and public statements during the interview process. The Governor’s appointee must run in the 2020 General Election, win to retain the seat, and serve out the remaining two-year balance of the term. The appointee then must run again for retention and a six-year term in 2022. No time limit exists for the Governor to make his choice. However, if appointments are not made within 30 days following submission of names by the Commission, the Governor may make no other appointments to public office. All of us have a civic duty to ourselves, to leave this world BETTER than we found it. What better way to do that and become involved in our elected process. Join me and let us UNITE to place great people into elected seats that is FAIR AND JUST! TOGETHER we can overcome any obstacles that are placed before us!